More than 95,000 veterans call Hillsborough County home. Whether they left the service years ago or are currently transitioning to civilian life, many struggle with the challenges of navigating a complex system of services and finding their place in their community. More than 40,000 nonprofit organizations provide services exclusively to veterans, service members and their families. With such an overwhelming and fragmented space, knowing where to start can be a daunting task. MISSION UNITED makes these services easier to navigate by providing a coordinated care network with a simple entry point through 2-1-1. Transition to Civilian Live – It is a process, not an event. Employment – Veterans fulfilling a new role, outside of their uniform. Benefits – Veteran benefits are earned. Family & Caregivers – Our military strength starts at home. 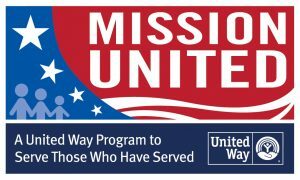 VeteranSDS – In partnership with PAR, Mission United is proud to offer the Self-Directed Search for veterans! The VeteranSDS is an online resource designed for veterans and active-duty military personnel that links military skills and ranks to civilian occupations and careers to which they are suited.